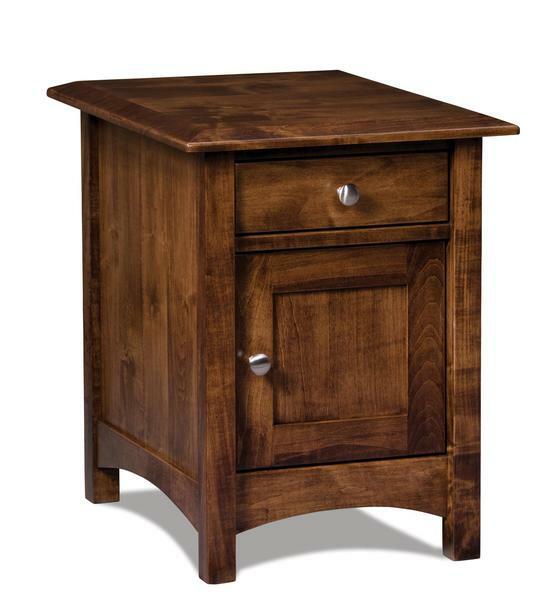 The demure, clean design of our Amish Finland Enclosed End Table with One Drawer and One Door will pair well with a variety of design styles/ the furniture you already own. Better yet, this accent table can be made in a variety of wood types and finishes (shown in brown maple with earth tone stain). Gentle arches, an inset door made with soft-close concealed hinges, and a full-extension drawer are some of the features of this Amish-made accent table that can be made 5" wider for an additional cost. Shown in Brown Maple with Earthtone.